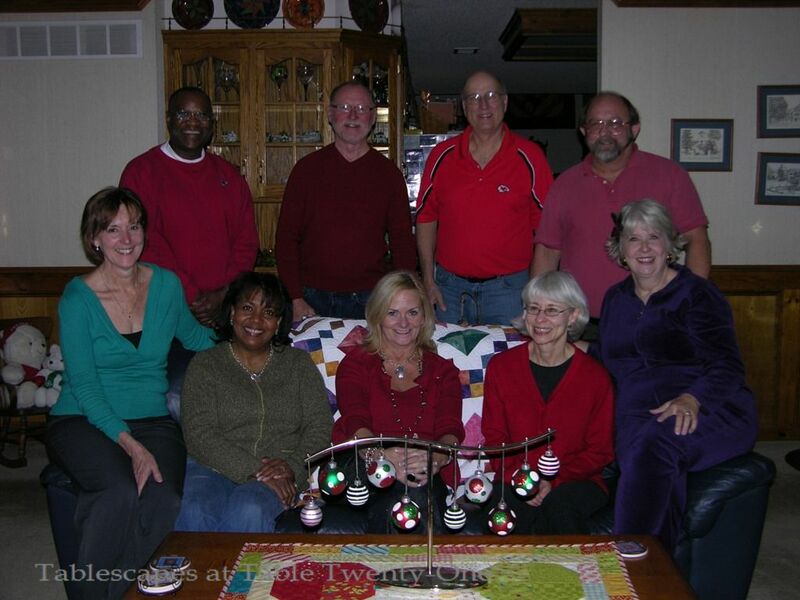 For the third consecutive year, four households on our cul-de-sac participated in a holiday progressive dinner. It’s a time for us to all get together before the hustle and bustle of the season gets us too wrapped up to wish one another good cheer. Ramon and I look forward to it each year. 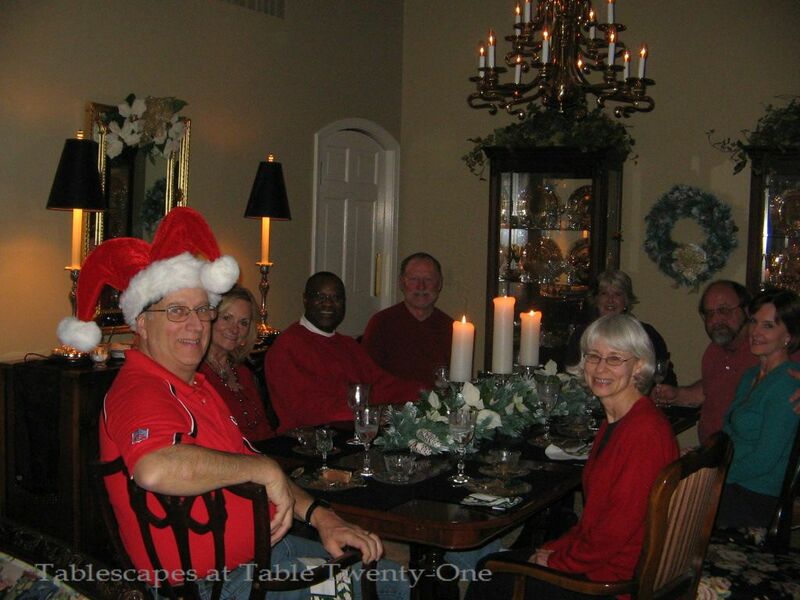 This year another couple from the neighborhood joined our group to make it all the merrier. We began the evening at 5:30 for cocktails and hors d’oeuvres, then on for salad, followed by the entree, and last – but never least! – dessert! We ended the evening with a few rousing games on the neighbor’s Wii. Much needed exercise after all that delicious food!!! This post is also about opportunities to reuse decor items and ideas. Elements from two recent posts are freshened and incorporated for a whole new look on one table. Given the number of dinner parties we host, it sometimes makes sense to not try and reinvent the wheel…but to simply give it a facelift! I hope you are able to take away some ideas for your own use! 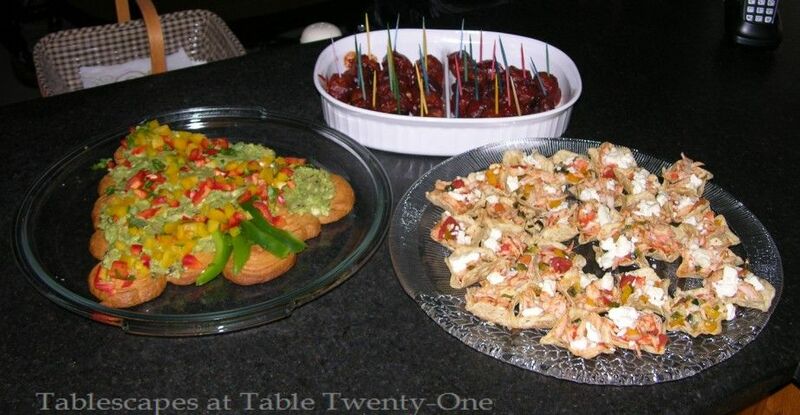 We started with tasty hors d’oeuvres and cocktails at Lynn & Barbara’s. Barbara always creates wonderful and imaginative treats, and this time was no exception! After popping delicious hors d’oeuvres for an hour or so, we all trudged next door to our house for salad (graciously and lovingly prepared by neighbor Mary Ellen! ), assorted soups (gumbo, chicken noodle and vegetable beef made by yours truly), and melt-in-your-mouth, buttery good rolls brought by our round-the-corner friends Carla and Jim. Some of you may recognize some of the decor used for this table. With back-to-back dinner parties hosting different guests, it seemed prudent to recycle some of the decor with a twist to make it special. This meal, served in the living room, is set up on two 6-ft. tables pushed together horizontally to create a square that can comfortably seat up to ten guests. 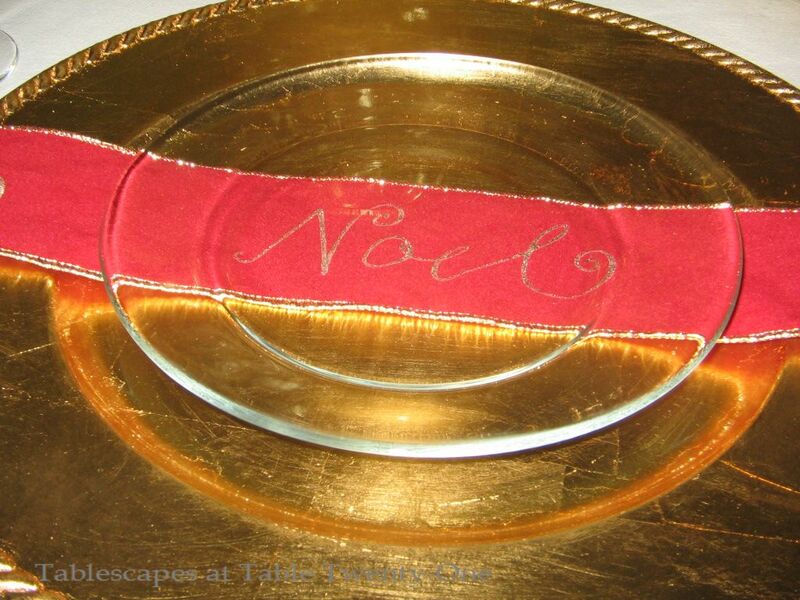 The “Noel” theme was carried from the fireplace mantel onto the table with the addition of this velvety red ribbon tucked around each charger. (I recently employed this same technique using plain red satin ribbon around silver chargers. See “Celebrating the Season“.) Clear glass plates allow guests to see the ribbon before salad is served. My much-loved, stiffly starched linen napkins were neatly folded and tucked into each place setting’s wine glass. 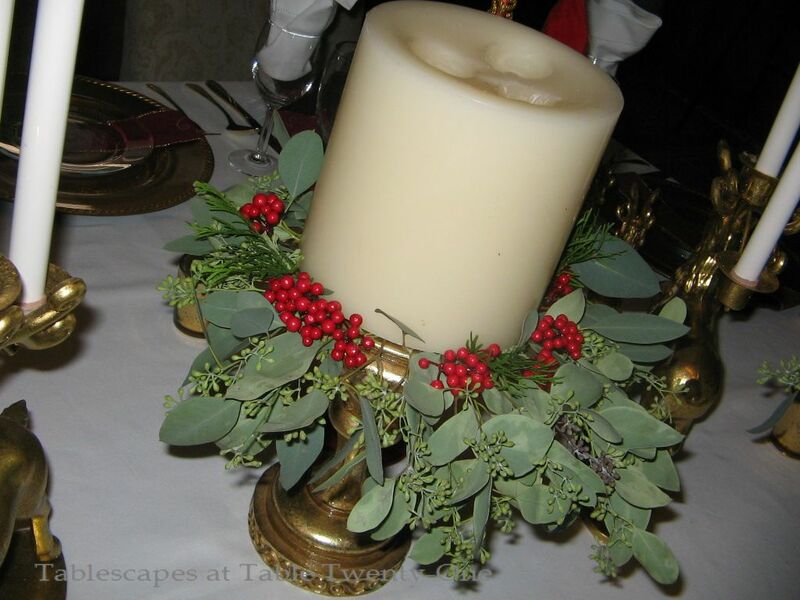 Also used in a previous post (“Roman Holiday“) was this chunky candle on a gold scrolled riser. Last week it was presented with just the candle. For this occasion, however, I tucked in the same greenery and berries found in the floral arrangements and on the mantel. This is a great way to create an instant centerpiece without having to use a ton of flowers!!! 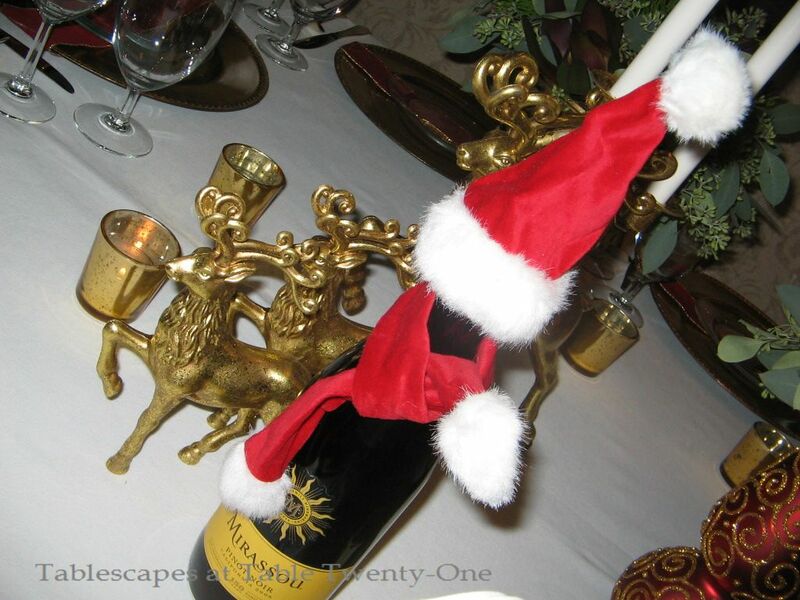 Instead of the creamy white & gold Christmas tree toppers used in the “Roman Holiday” post, I subbed in elegant red & gold with scrolls that mimic the design on the floral containers. After stuffing ourselves at our house, we all miraculously still had room for dessert. So on to Bob & Jane’s for a fancy sweet treat to end the evening! What a fun night!!! I am delighted to join Susan at Between Naps on the Porch for Tablescape Thursday. 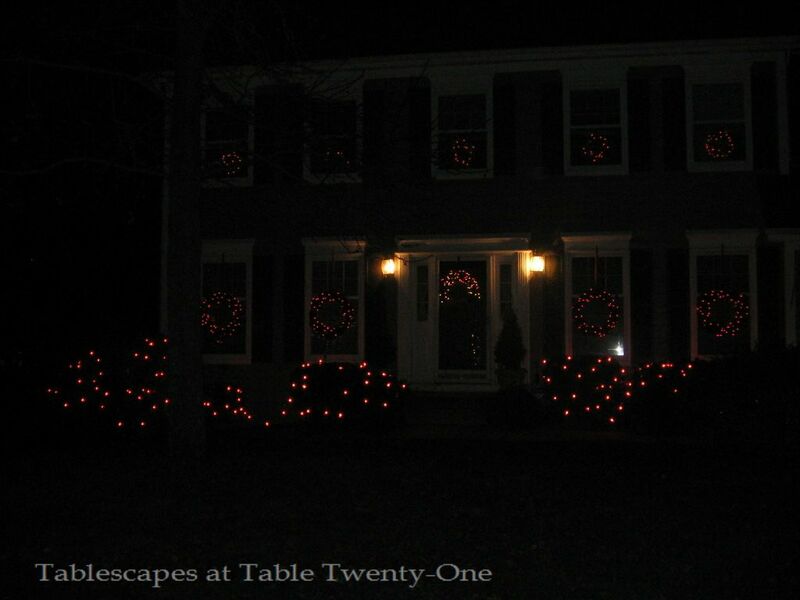 After peeking in on my photos, please feel free to wander on over to Susan’s place to see what other tablescapers around the world are up to! Alycia, what a fun event! I always learn something from your posts — I like the idea of putting two tables together to make a square, and I may try that for our son’s rehearsal dinner in a couple of weeks! The ribbon beneath a glass plate is also a fab idea! 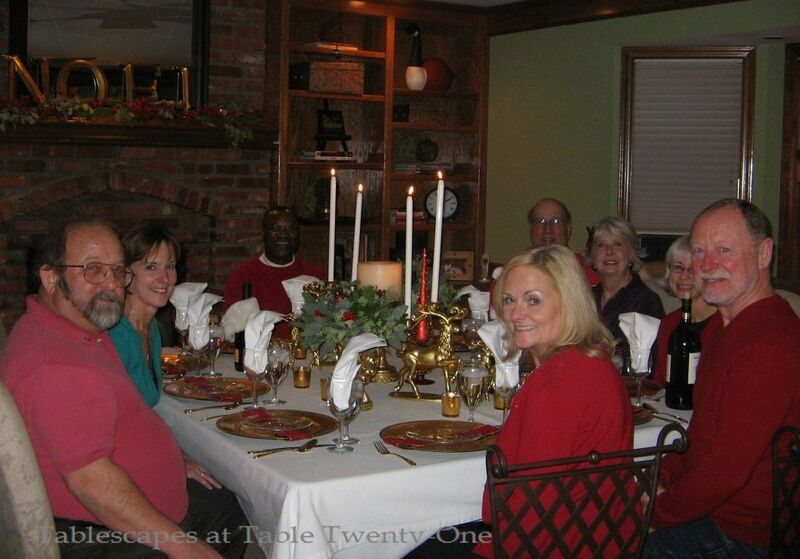 Your table looks SO festive! Thanks, Tricia! Putting the two tables together horizontally allows lots more space for center decor which I really like. It also gives the illusion of a round table for those people who have a hard time adjusting to the Tuscan-style table set up!